A hearty meal, perfect for Passover or a rainy spring day! Springtime for Rebecca and her family meant they would soon be celebrating Passover, the holiday commemorating the liberation of the Jews from slavery in Egypt. This year, it begins on April 19 and ends on April 29, which means we're getting a bit of a head start on the holiday with this post. Although Passover involves a lot of food history, arguably the most famous food associated with it is matzo, or matzah or matza depending on the spelling, a large, cracker like baked good that symbolizes the unleavened bread the Jews ate when they fled from Egypt. During Passover, chametz or leavened foods are forbidden, so matzo is eaten in its stead. Growing up, many of my Jewish friends would complain about being forced to eat matzo over and over again during Passover because it was boring, while others thought it was cool that they were eating a food that had such a long history. Others looked forward to the season because it meant their parents or grandparents would be breaking out recipes like matzo ball soup, a comforting, hearty dish that turns the bread crumbs into thick dumplings. Read on to see how you can make your own tasty matzo balls. Matzo is technically not only available during Passover, although most grocery stores definitely have it in greater amounts leading up to and during the holiday. Up until the 19th century, if families wanted to make matzo balls or other products from matzo, they would go to their local Jewish bakeries and buy matzo there, grinding it up at home for matzo meal or just asking the bakers for crumbs to make these thick dumplings. 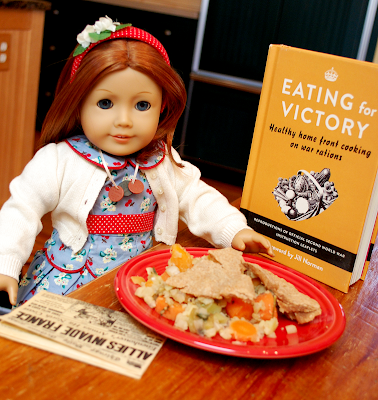 Commercially produced matzo meal has been available since the 1880’s, but it’s certainly possible that Rebecca and her family still made theirs the traditional way. When I dove in to give this a shot, I went with it in a box because I still don’t have a food processor and wanted to make sure I was getting the right consistency for good dumplings. The history of matzo balls themselves is pretty spotty, but it’s safe to say this is a very old recipe. People have been adding dumplings to soup to stretch stale bread, beef up broth with something a little more filling for the stomach, and just because generally speaking, humans really like carbs and love finding any excuse to use them. Ground up matzo is used instead of bread or flour because it’s Passover, and I’ve got to say, the texture definitely is better than some white flour dumplings I’ve had in the past. 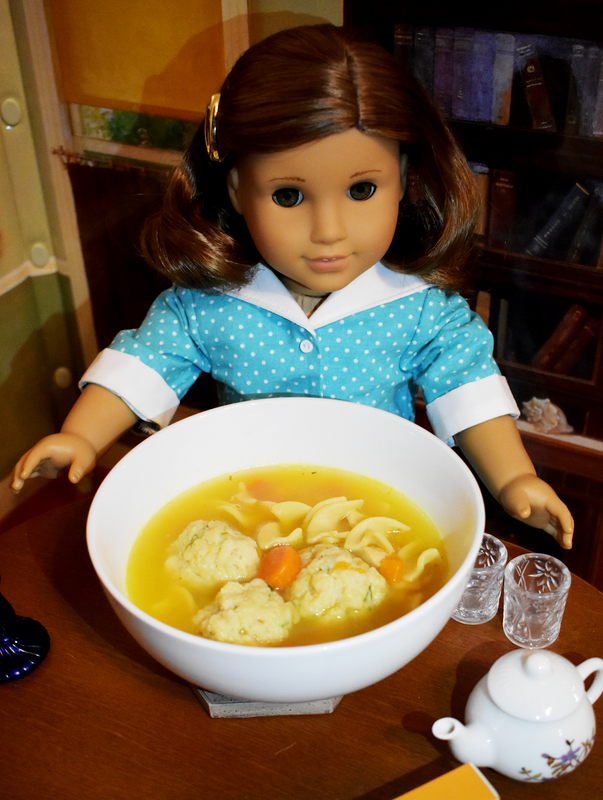 To make this recipe, I turned to one of my favorite sources for Jewish recipes: Tori Avey, who has two recipes for matzo balls. 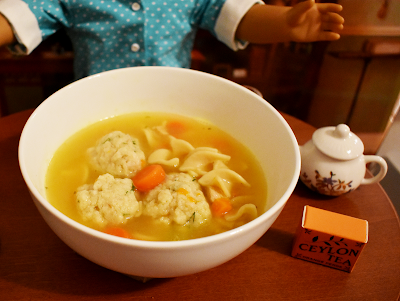 I decided to make her sinker matzo balls and got cracking after coming home from a long day at work. A quick note: our overhead light in the kitchen has gone out, so if my prep photos look a little strange even post edits, that’s why. We’re looking to get it replaced but need permission from our landlord to get someone to disassemble the light. To begin, mix together 3/4 of a cup of matzo meal, 1/4 teaspoon of salt, 1/4 teaspoon of garlic powder, 1/4 teaspoon of onion powder, and 1/4 teaspoon of white pepper in a mixing bowl. Tori notes that the white pepper isn’t mandatory, so if you don’t feel like buying some just for this, don’t bother. It does, however, play a role in the really delicious egg drop soup I made a few months ago, so if you’re interested in giving both recipes a try, it’s worth the investment. In a separate bowl, use a fork to combine two large eggs with 2 1/2 tablespoons of melted schmaltz. Schmaltz is rendered chicken fat, which can be tricky to find depending on your grocery store. If you can’t find any, you can substitute with pretty much any flavorless kosher vegetable oil. Pour the wet ingredients into your dry ingredients and add 1 tablespoon of fresh dill, which has been minced. Mix everything together with a fork until the ingredients are just combined – don’t be tempted to overmix it! It came together into a good looking dough pretty quickly. This gets put into the fridge for 45 minutes to chill. When 45 minutes is up, take the dough out and begin rolling it into one inch thick balls. I ended up with thirteen balls total from this recipe. They held their shape really well and were easy to work with even after being chilled. 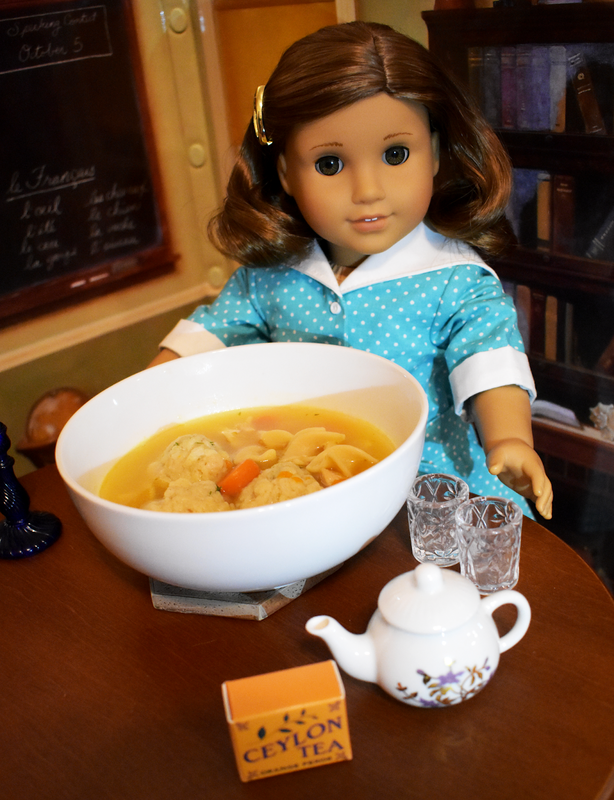 Tori advises that there are two ways to prepare the matzo balls, and it really depends on how many people you’re planning on serving and how much chicken soup you’ve got on hand. While cooking, the matzo balls absorb a lot of liquid, so cooking them directly in your soup will mean less broth to go around. She suggests that if you’re cooking for a big crowd, you should consider boiling the balls in straight water, but if you’re keeping things more simple, the balls will have better flavor if they’ve been cooking in chicken stock. Since I was making these for wifey and I (with the intent to bring any leftovers into work for lunch), I decided to cook them in chicken stock. I got three quarts of chicken stock boiling on the stove, lowered it to a simmer, and added my matzo balls in with a slotted spoon instead of throwing them in violently. I was interested to see that the balls initially began to float to the top of the pot as they cooked. I covered the pan with the lid and left them to simmer for 30 minutes. When I returned, the balls had definitely gotten larger and looked fully cooked. After I removed the lid from the pan, they began to sink to the bottom of the pot. I fished them out with the slotted spoon and filled two soup bowls with three balls each. I’ll admit I cheated on this recipe and didn’t make chicken soup from scratch to serve with them. If you want a really good chicken soup recipe, check out this post from A Peek into the Pantry’s archives: Rebecca’s Chicken Soup, an interpretation of my best friend’s mom’s chicken soup. So, what’s the verdict on this recipe? Pretty darn tasty! I can imagine these would only taste better with homemade chicken soup, but they were definitely nice even with a canned product. Maybe next time I won’t be so lazy, or I’ll make the soup in advance and just defrost it when it’s time to make the balls. I’m really glad I decided to cook them in the chicken stock instead of just using water, because they definitely soaked up the flavor and might have been a little bland without it. They were thick and a little gummy, but not in a bad way like some commercially produced dumplings can get after sitting in the soup for a long time. Tori does warn that you should drain any leftover matzo balls well before storing them because they can get really gummy and soggy sitting together in the fridge. 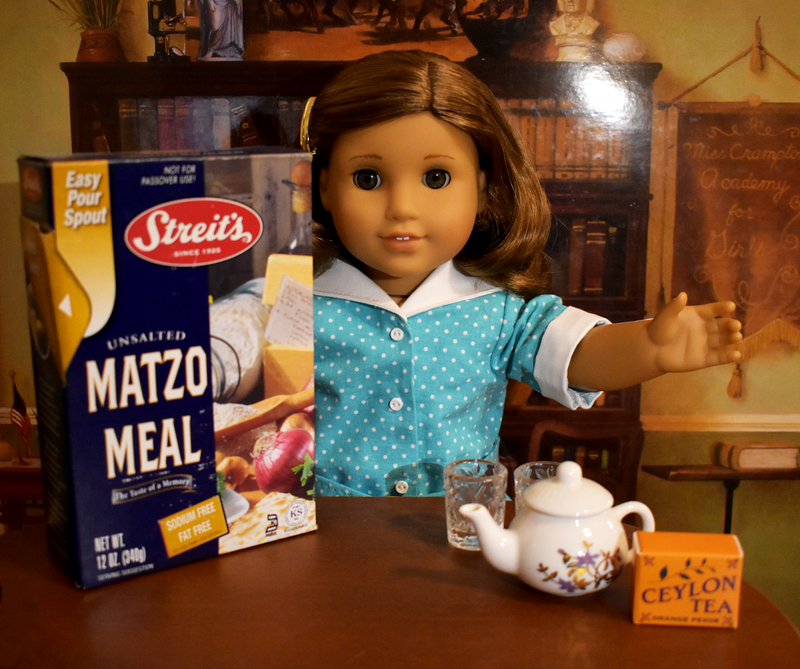 Matzo meal isn’t just used for matzo balls - in Rebecca’s books, her tenth birthday falls during Passover, and she’s initially disappointed that she won’t get to enjoy a light, fluffy cake to celebrate the occasion. Her family surprises her with a cake made from matzo meal, which is light and fluffy thanks to the twelve eggs they baked it with! Once I get my hands on a food processor, I’d definitely like to try my hand recreating that special treat. Until then, I’ll be enjoying the rest of my matzo balls! And have a happy Passover if you celebrate! Thanks for the cooking lesson and the history lesson. I love making matzo ball soup every Passover. It always reminds me of AG Lindsey since she mentions matzo balls in her book! I had totally forgotten about that! I've only read her book the one time and it's still at my parents' house. Will need to get my hands on my copy and give it a reread!